Volkswagen is celebrating the 45th anniversary of the Golf model line. As a replacement for the stalwart Beetle, it would be an understatement to call it a successful follow-up. For decades the Golf has been a great choice for many. On the eve of the Mk8 Golf, let’s celebrate the past. The standard models are great around-town family trucksters, and the GTI has been a performance icon since the beginning. 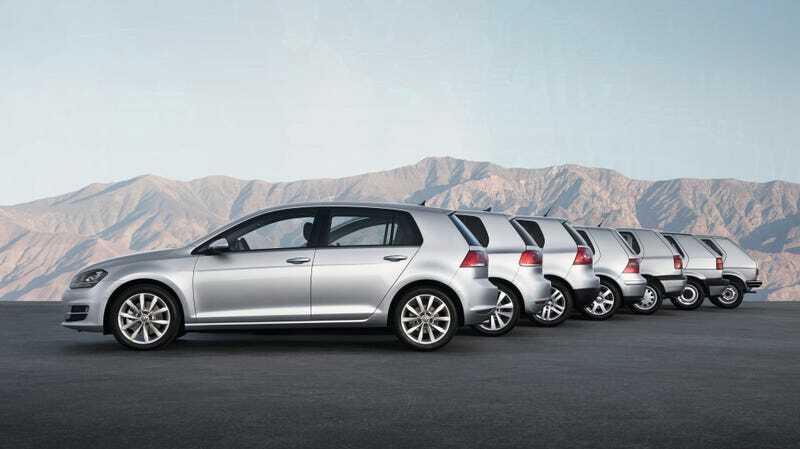 More than 35 million Golf models have been sold at a rate of one every 41 seconds non-stop since 1974. With that many Golfs [Golves?] out there, you’re bound to have experienced one at some point in life, right? Perhaps you have had an Alltrack wagon, commute in the silence of an eGolf, you had an ex with a Cabrio, or you had an uncle that used to give you rides in his old MkI GTI? Whatever your Golf story, we want to hear it. Extra points if you took a Golf to go golfing. I’ve been in a few Golf/Rabbit examples, but my favorite experience came just two weeks ago when my friend Jon handed me the keys to his insane little MkI Rabbit. This monster has been fitted with a later ABA 2.0-liter and a big turbocharger. With at least 200 horsepower on tap, this old rattle trap just plain rips. Pulling up to speed is addictive, and I spent the first several minutes of the drive running out to redline, letting off to hear the boost evacuate the system, and then getting back on the throttle to re-spool. It’s as likely to rip a fat burnout as it is to smoke the clutch, so I tried to be careful pulling away from a stop, but once in the upper range, it’s a free for all. 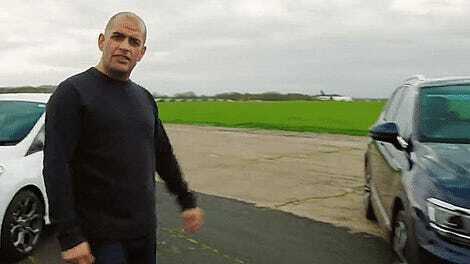 Jon was following me in my Porsche 944, and I certainly had the power advantage while he had the handling advantage. The Rabbit is lighter, but it’s much taller, and the seats are very upright in comparison. It was an absolute blast, and I couldn’t contain my laughter when on throttle. It’s hard to form thoughts that convey how fun this bad little Rabbit was. This was a great way for me to celebrate the anniversary of the Golf with an enthusiast-built hot rod example. 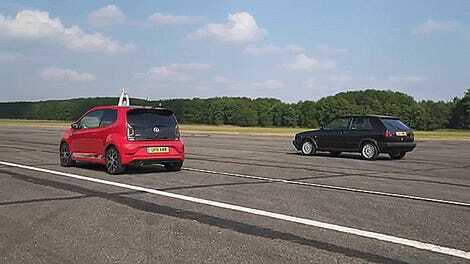 The Golf has long inspired tuners to get creative, and they make great FWD track cars. So anyway, tell us your Golf stories. We want to hear them. Bonus points awarded for photos of the car in question.